German Chancellor Angela Merkel told a news conference this afternoon: "We will make major efforts to avoid a hard Brexit, but we have to do that together with Britain." Merkel made the comments while on a trip to Ireland where she met with Irish Prime Minister Leo Varadkar and with residents living on the border between the Republic and Northern Ireland, to learn what impact any return of frontier checks would have on their lives. The German Chancellor said the EU has to succeed in making sure there is no hard border between Northern Ireland and the Republic of Ireland. The two states share a 500-kilometre border that would become the UK's only land frontier with the EU if it leaves the bloc as planned. Opposition to any return of a hard border on the island of Ireland has been a major stumbling block in Theresa May's efforts to get MPs to back her Brexit deal, which has been rejected three times in the UK parliament. 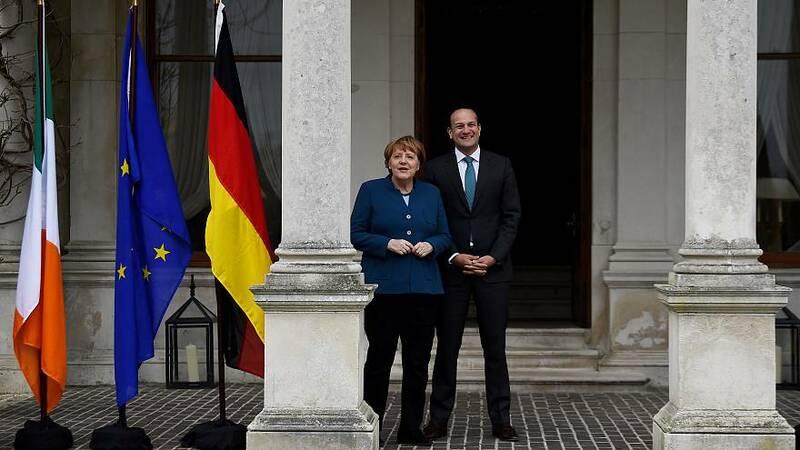 Varadkar said he discussed with Merkel how the EU can protect the single market and open border if the UK crashes out of the bloc with no-deal. The Irish prime minister added that the EU should be patient while a Brexit path continues to be forged in London. “We said that if the UK had not ratified the withdrawal agreement it should come forward with a clear plan for the way forward by next week or it would leave the European Union without a deal,” Varadkar said. The Irish Prime Minister added that Ireland and Germany want a close future relationship with the UK after it departs from the bloc but said that there was "little time left" to prepare for all outcomes. While Merkel said she hoped the discussions in London will lead to a "common position" by next Wednesday when the EU gathers for a summit.